The foldable smartphone-tablet concept has been going around for more than five years now -- and frankly, there was a time when I thought it would never see fruition or that no company would actually release such a device. Thankfully, though, it seems that at least two tech giants are now very keen on making this idea into a reality. In fact, according to insiders, these companies could very well launch their own versions of this product either later this year or early in 2019. Just a few days ago, it was revealed that hotshot Chinese handset maker Huawei is working on its own foldable smartphone and that it's determined to win the race in launching a new model in this fresh product category on a global scale. 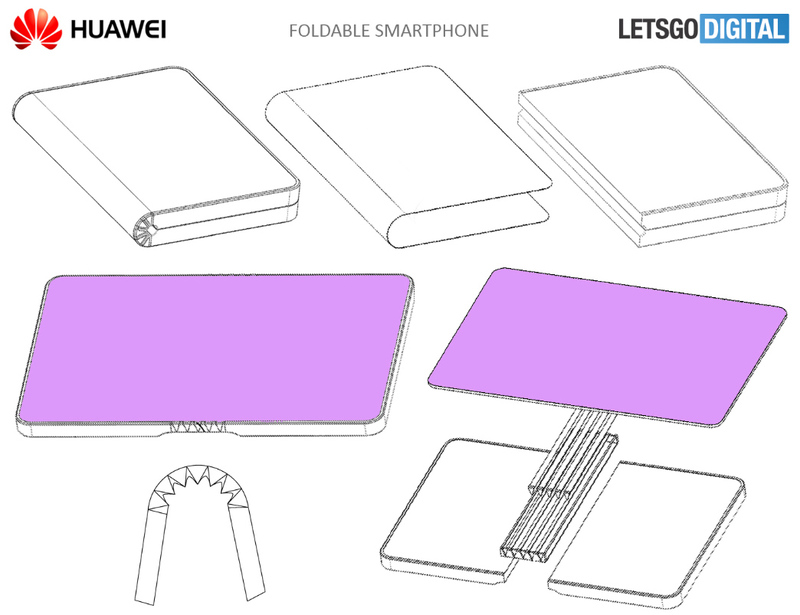 Looking at 'leaked' supporting images for patent application, it seems that Huawei is developing a slate-like device with a screen that folds outwards inside of inwards; If we were to compare this to a book, the cover itself would be the screen. Rumors have it that this Huawei tablet will have an 8-inch rectangular display that folds right smack in the middle transforming it into a device with smartphone-like proportions. 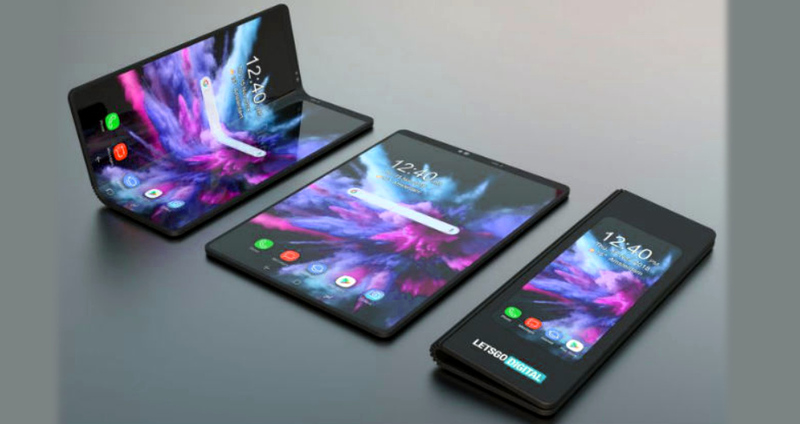 Samsung's foldable smartphone concept, which has been officially disclosed to some developers, is quite different from that of Huawei. The Korean Giant also seems to be a working on a slate that folds in the middle but its 7.3-inch large screen is inside instead of outside. If it were a book or a magazine, the display would be in the centerfold. 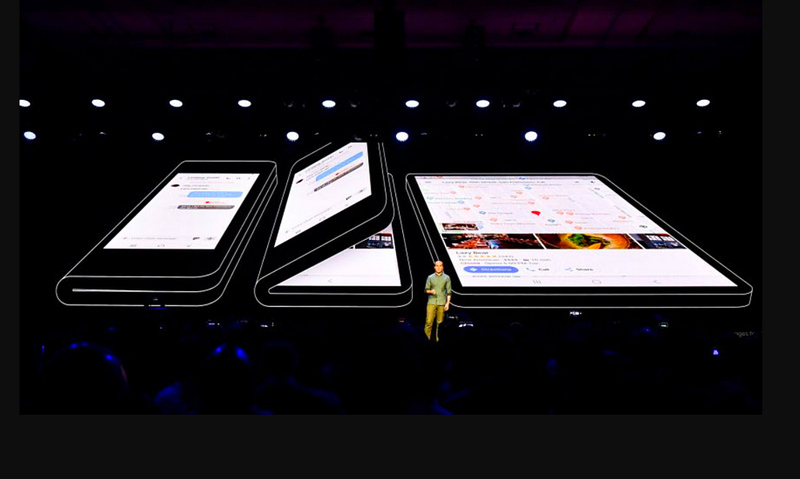 What's cool about Samsung's concept is that the device will also have a smaller 4.5-inch display on one of the outer panels when its folded -- and this screen practically transforms the tablet into a regular - albeit thick - smartphone. Both Huawei and Samsung's folding smartphones are expected to have top-notch internal hardware rivaling what's inside their top-of-the-line Mate-Series and Note-Series handsets. As for their prices, they will most likely be in the ultra-flagship or super-premium category, surpassing the SRPs of the models in the said handset lines. Going back to the product concepts, though, I want to ask you: Which one do you prefer? The Huawei slate with a screen on the outer part or the Samsung tablet with a big display inside and a small screen outside? Let me know your thoughts by sharing them in the comments section below or by messaging me on Facebook, Twitter, or Instagram. Cheers!